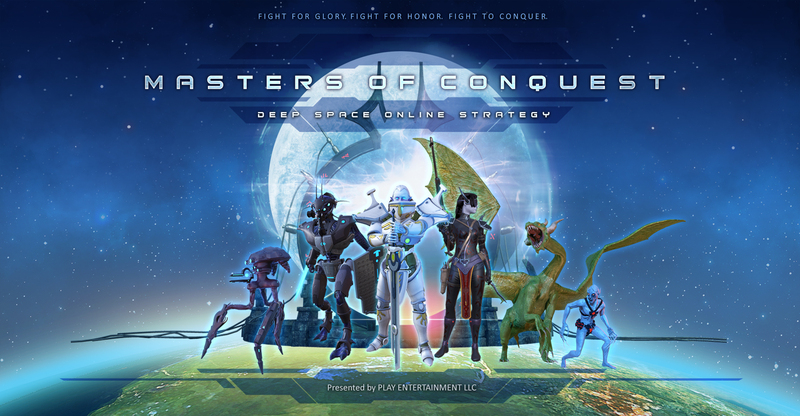 Masters of Conquest is a real time competitive experience, a Multiplayer Online Battle Arena game set in a very far corner of the Universe. We call it a Deep Space MOBA. Three ancient races, mastering the interstellar travels using the Portals powered by dark energies. Caught in an endless war, defending their ancient homeworld or trying to conquer their enemy’s world. This is a game that requires skills in combat and strategy, with the ultimate goal of conquering all the worlds by a faction. NEBULON - the home planet of the Settlers race. to the mystical technology of travelling using the Dark Portals. MORDEM - the home planet of the Fallen race. harvesting periods, they discovered the Dark Portals and became space travellers. the arid world of Mordem. PRIMEA - The home planet of the Genesys race. all the positive energy of the Universe. the balance in the whole Universe. A long time ago, there were two clans. A selfish clan that studied magic and a noble clan that was virtuous. Many years, they dwelled in discord until one day the sorcercers of the evil clan conjured a portal to a hidden dimension. Through the portal there came strange beings whom the sorcerers sought to enslave. But these beings were strong. With their superior technology, they exterminated their enemies and took over the peaceful folk. Yet, in spite of all odds, the alien order has had to lose control. The clans have made gains and risen. As their old disagreements reemerge they now race to rebuild their dominions while the aliens seek for their way back from out of chaos. Control heros and units to destroy your opponent. Build structures to capture territory, refine resources and unlock bonuses. Conquer two-thirds of all open land to win. Exchange items and run interplanetary missions. Make new friends and meet old ones.